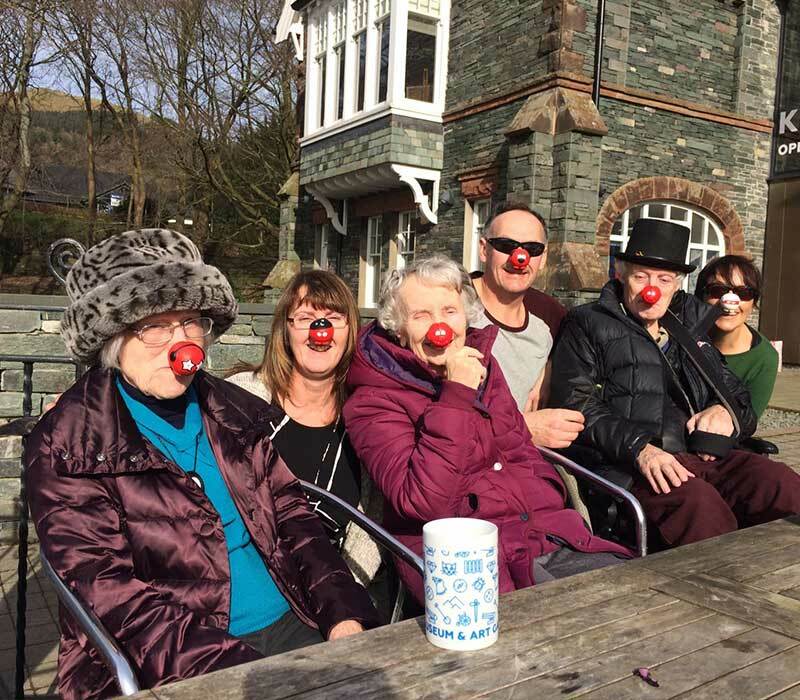 A social club at heart, Amy’s provides an opportunity for everyone, including people with living with dementia, to access all the club has to offer. We see huge benefits for our members as they enjoy the social experience of interacting with others, everyone is valued. 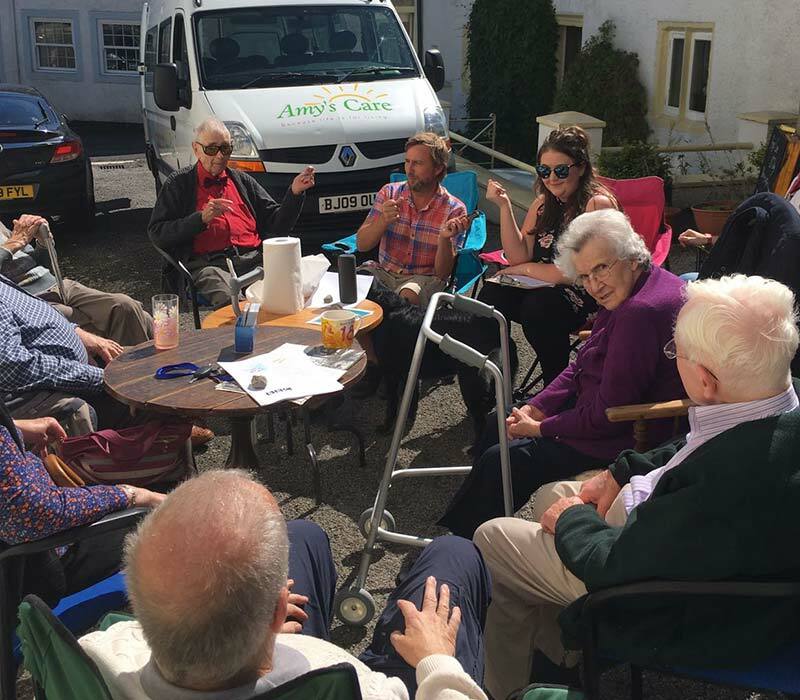 Amy’s Care will liaise with an individual’s family, carer and professionals to provide a personal care plan and club activities report with particular reference to their loved ones involvement in health and well being. Places are limited, so please get in touch. 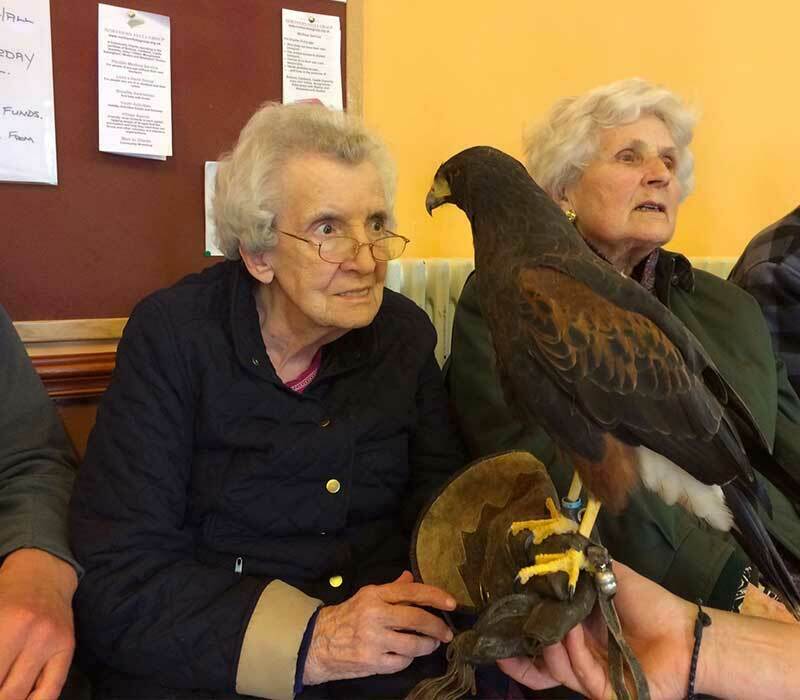 Based at Burnside Court in Stanwix in the North of Carlisle, our Social Club meets on Mondays. We gather in the lounge between 9:30am and 10:30am and enjoy a cuppa and a chat together. Once everyone has arrived we enjoy answering quiz questions or we may discuss topics in the news past and present. Sometimes we have a sing and dance or play indoor ball games. After a hot two course lunch we go out in the minibus on a trip. Sometimes we visit an exhibition at Tullie House or take a stroll around Talkin Tarn. Every other week we go to Dancing Recall in Currock. There’s always time for tea and cake before we head home for about 4pm. 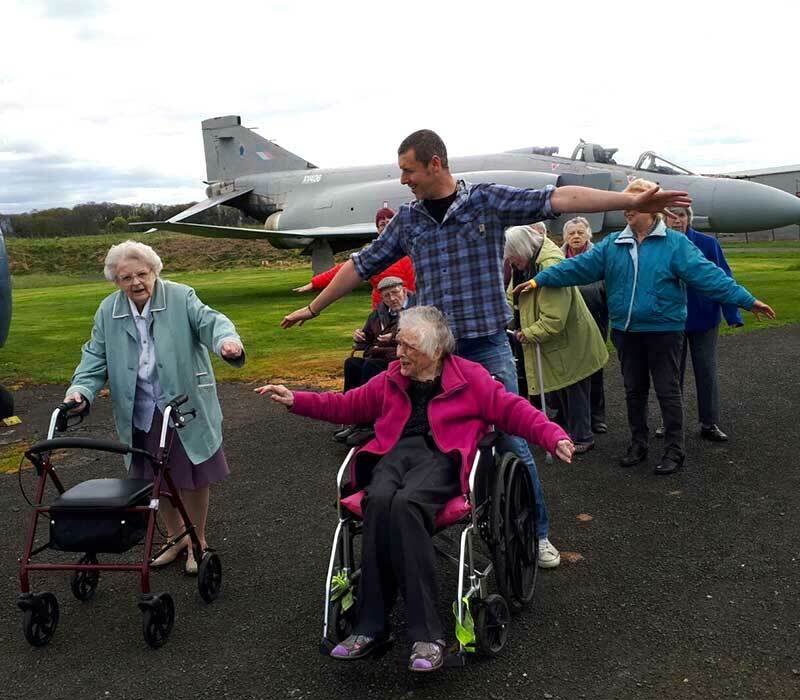 We meet at Heysham Gardens, Carlisle West on Tuesdays between 9:30am and 10:30am. As we come together in the light and airy lounge we have time for a cuppa, a biscuit and a chat. Next we look forward to Mary’s Quiz or chat about issues in the news. We take a look at items in the Daily Sparkle, news stories from years gone by, this usually provokes a lively discussion and a good laugh. Sometimes we top it off with a good old sing song before lunch. We enjoy a two course hot lunch before we head off out on our trip. When the weather is good we go for a stroll in the countryside. Every other week we visit Sunbeams Music Trust and once a month we enjoy tea and cake at the Dementia Tea Service at St George’s Church at the West Walls in the city. We usually start to head home about 4pm. On Wednesday and Friday our Keswick club meets in the Crosthwaite Room at Keswick Museum. Our morning session usually begins between 9.30am and 10.30am. Quite often we start with different activities until everyone has arrived: Jigsaws, art and crafts, crosswords. Sometimes we get the tabletop games out or we may have a group quiz with music and images. If the weather is nice some of us do some gardening or we may go for a walk in the park. We enjoy a hot homemade lunch and on Fridays we have fish and chips. In the afternoon we take a trip out. We sometimes go into town or down to the lake for an ice cream. 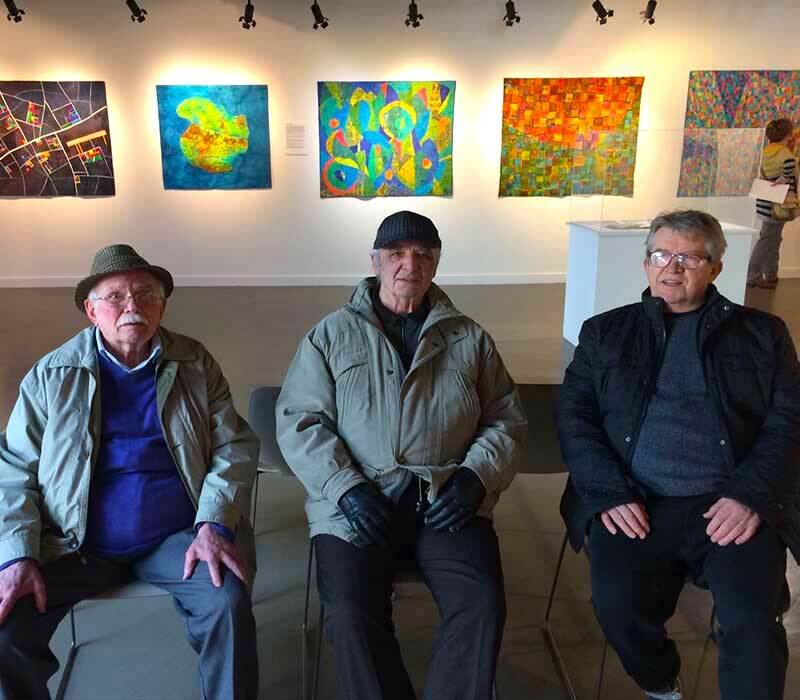 We may take the minibus and go to Rheged to see an exhibition, to an art gallery or the pencil museum. We head home at about 4pm. The small rural village of Ireby is the location for our social club on a Thursday. We meet at the WI Village Hall in the centre of the village. We often head straight out to a session run by Theatre by the Lake called Setting the Scene and return to the village hall for a hot homemade two course lunch. In the afternoon we gather round the fire for a quiz or some singing. Sometimes we go out for a ride in the minibus to Caldbeck over the fells and visit the duck pond. After a busy day we get back on the minibus and head home about 4pm.